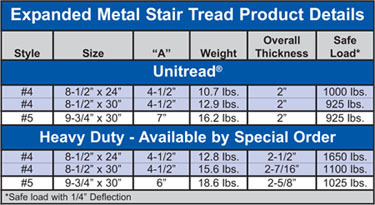 Expanded Metal stair treads are available in plain steel, galvanized or painted red oxide. Available in lengths 16” to 48” inclusive in 1/2” increments. Treads can be fabricated with standard bar grating end plates.